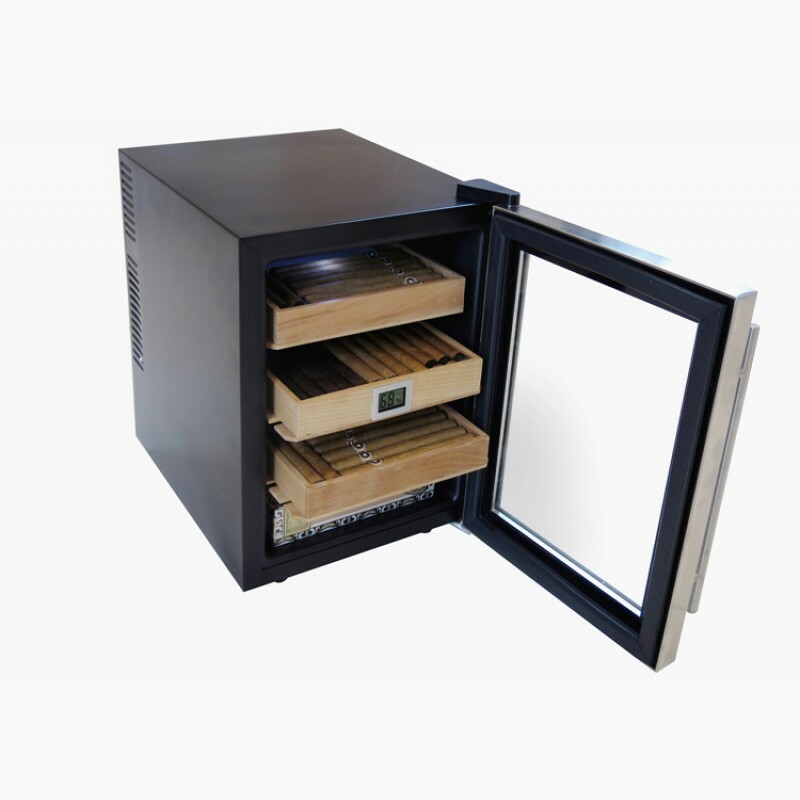 The Clevelander cigar cooler humidor cabinet provides cigar enthusiasts with complete control over their cigar preservation. 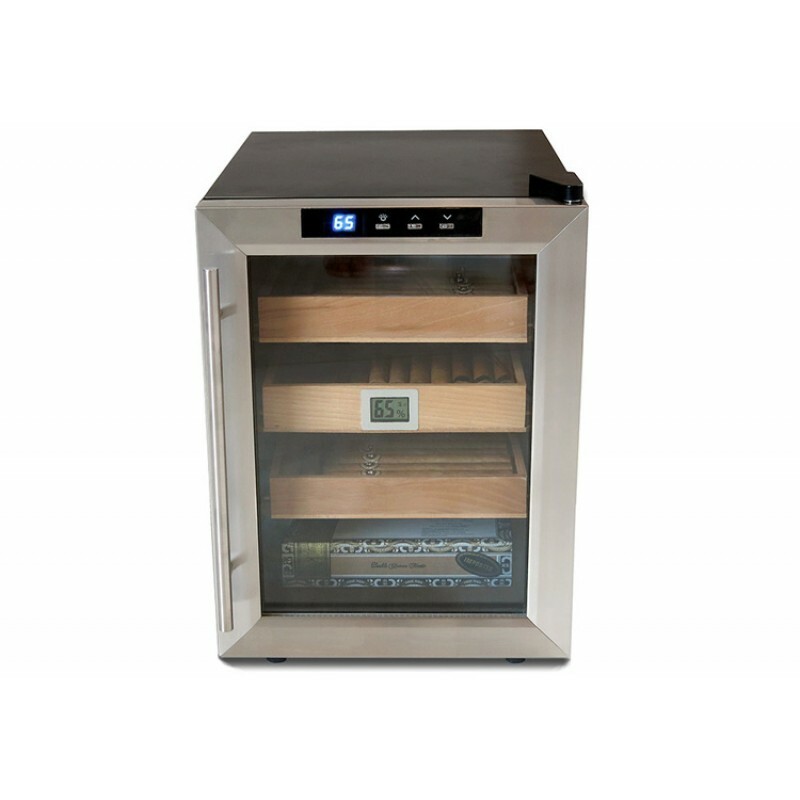 Each cabinet is finished with a handsome stainless steel tempered glass door and contemporary style handle. 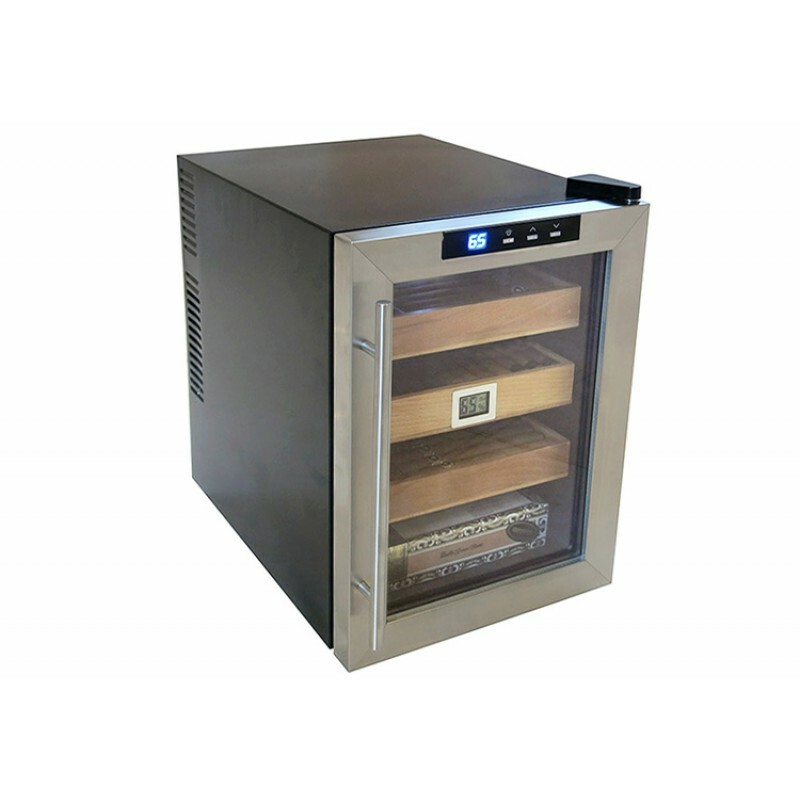 Through the Clevelander's built in electronic control panel and thermoelectric cooling system, interior accent lighting and desired temperature can be easily set and maintained with a push of a button. 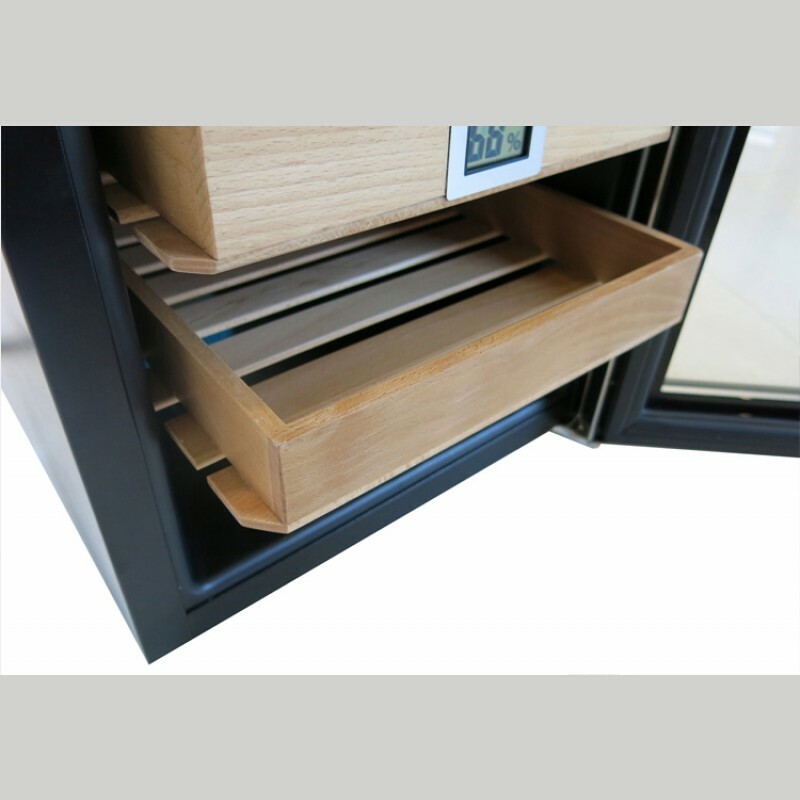 Each cabinet includes a water reservoir tray that can be filled with distilled water to manage humidity levels. 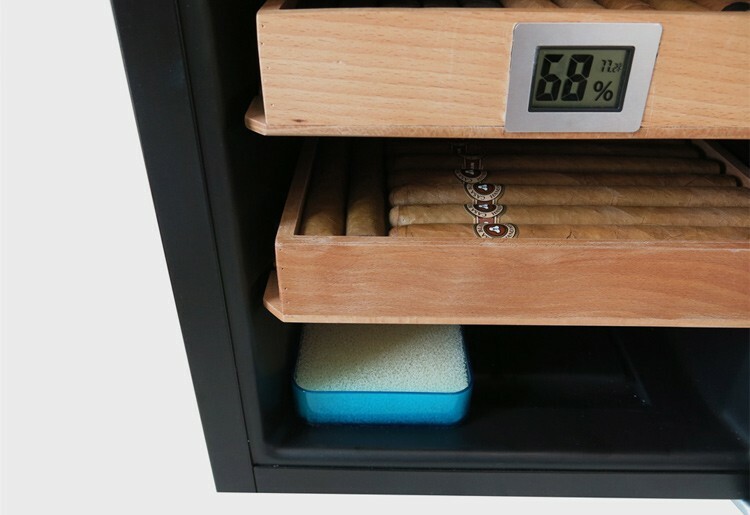 The Clevelander's matching built-in digital silver framed hygrometer displays Relative Humidity along with Temperature in Celsius or Fahrenheit (Battery Included). 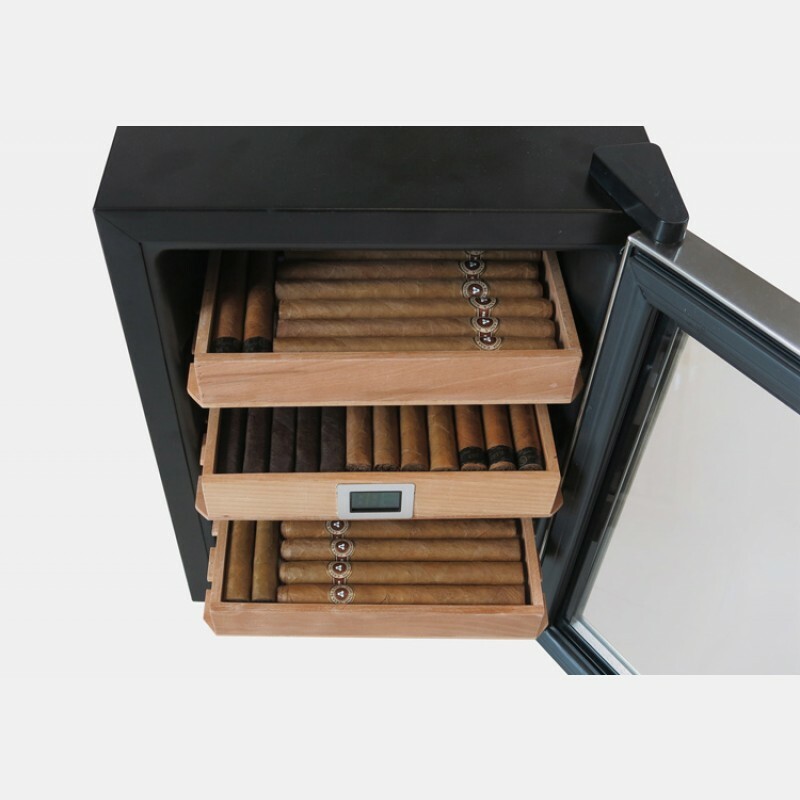 Features 3 vented sliding removable trays with a storage capacity of up to 250 cigars. 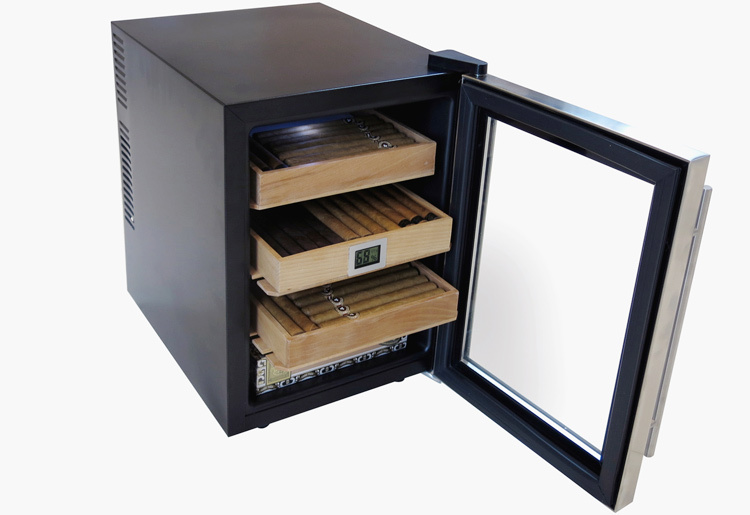 Each tray has side walls to safely contain and store individual cigars or complete boxes. 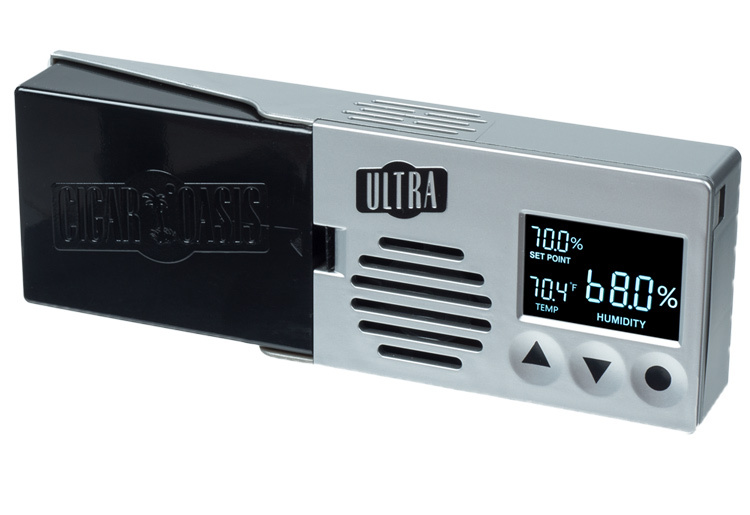 Runs on 110/120 volt platforms. Completely Satisfied Review by Sal I. Not only am I enjoying better cigars out of this great humidor, but two of my friends also bought one and have thanked me for the recommendation. 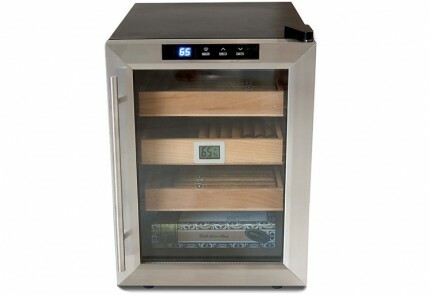 First Class Humidors is a 5 star, first class business! 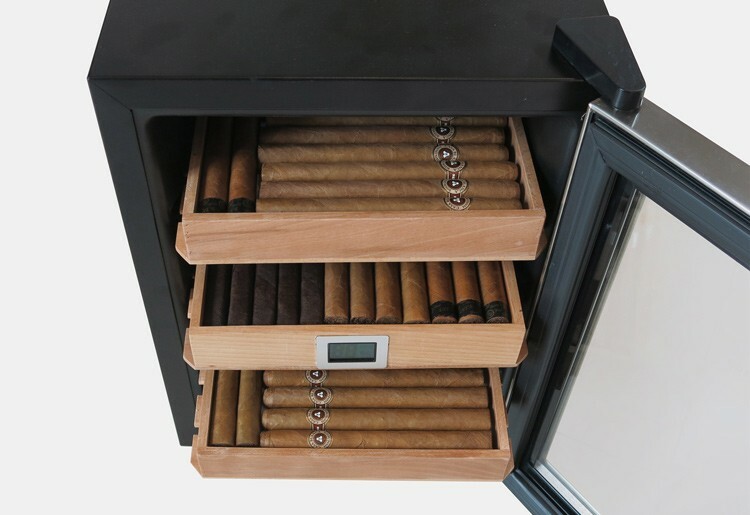 Great Humidor! Review by Chad C.
This is a great humidor! 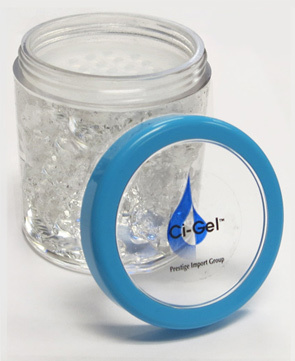 This keeps your sticks cool and humidified exactly how you like them! 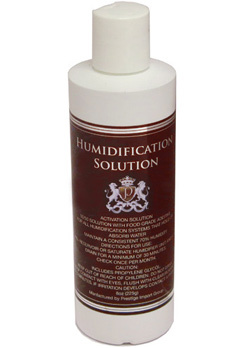 Believe it or not, thanks to wonderful customer service (kylie), you do not need a separate humidifier. The water tray that comes with the Clevelander works great. 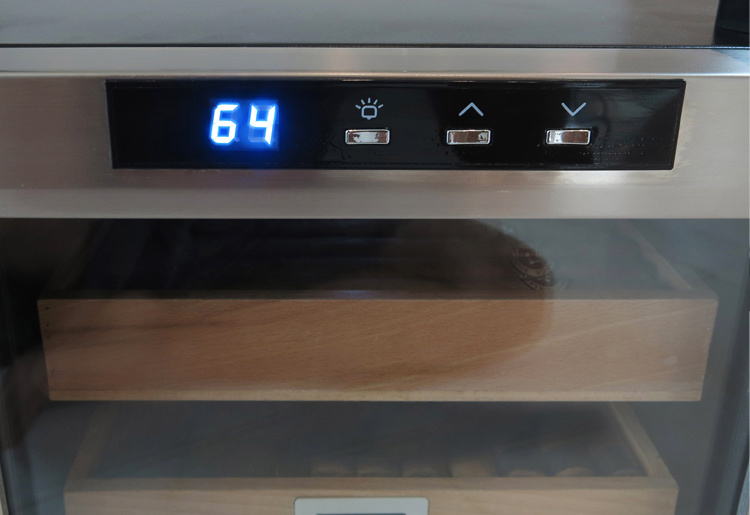 When you season it for the first time wash the inside of the unit as well as the trays with distilled water. Fill the tray with water and close the door. Let it run overnight. If the humidity is high the next day, like 80%, then the trays have soaked up the right amount of moisture and it's time to dial it in. 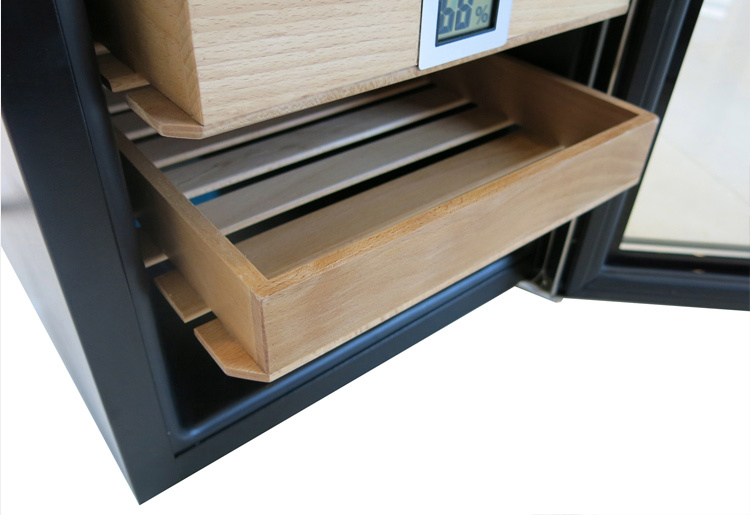 I recommend placing a second hygrometer inside for comparison. 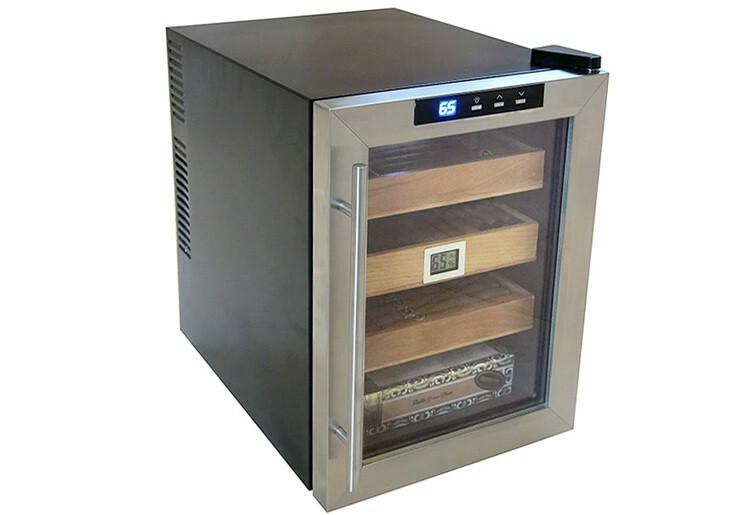 Open the door until the humidity level reaches just below or at your ideal level. Refill the tray if necessary. Place a piece of plastic wrap over 3/4 of the tray. 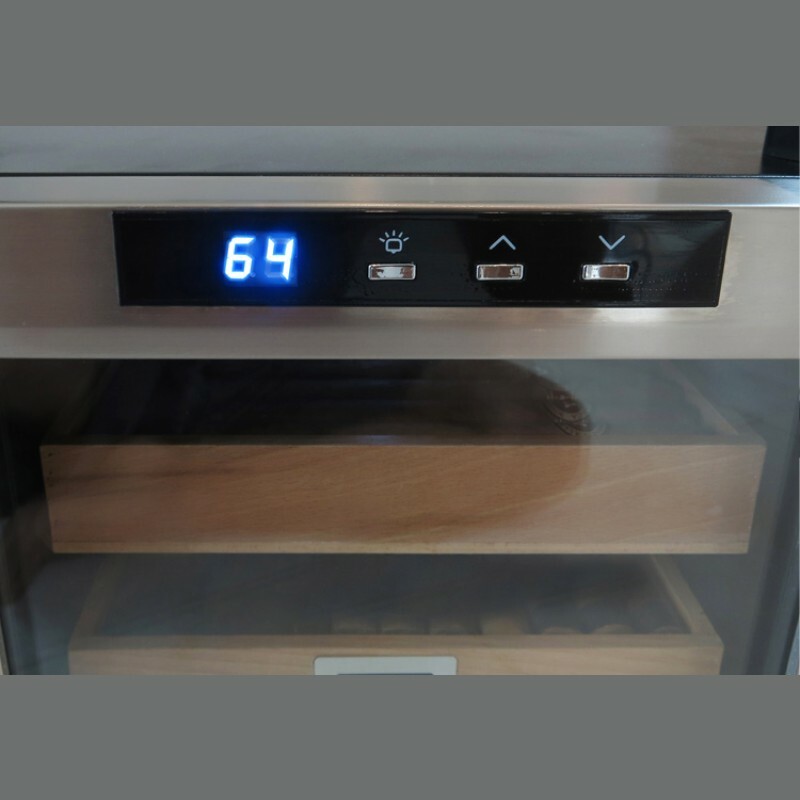 Check the humidity every hour. If it's too high pull the plastic wrap so that the opening is smaller. It it's too low open it up. 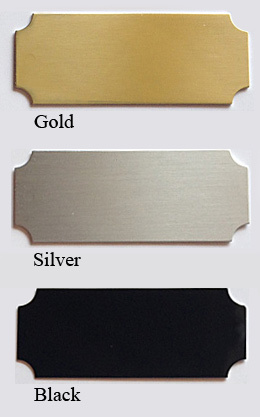 The opening to your water tray will adjust how humid it will be. Mine sits about 3/8 inch open. *Optional* Once dialed in I put a small block of aromatic cedar in the water tray. Just let it float. This will release just the right amount of that sweet cedar smell !! 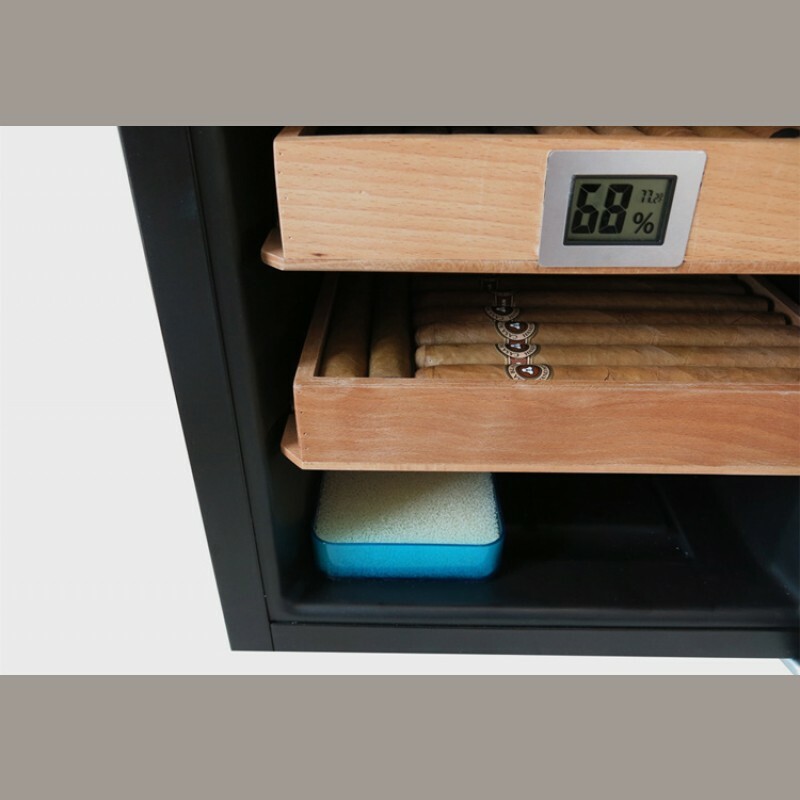 It is a wonderful unit and now that I don't have to worry all the time about temperature and humidity levels, it makes my cigars much more enjoyable and relaxing! Works great! I love the easy to read gauges, it would of been better if the light was on the side of each level. This way you could see everything. With the top location of the light it's only good for the top shelf. 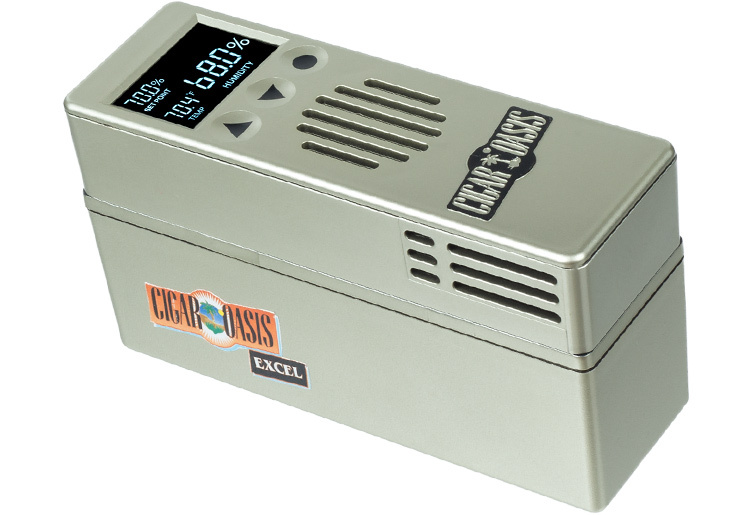 I'm also not so sure about fitting 250 cigars in here, but 160 is no problem, with room to breath, I purchased the Cigar Oasis Plus, which is over kill, but I love the fact that no matter how many times I open the door, and the levels drop around four points. 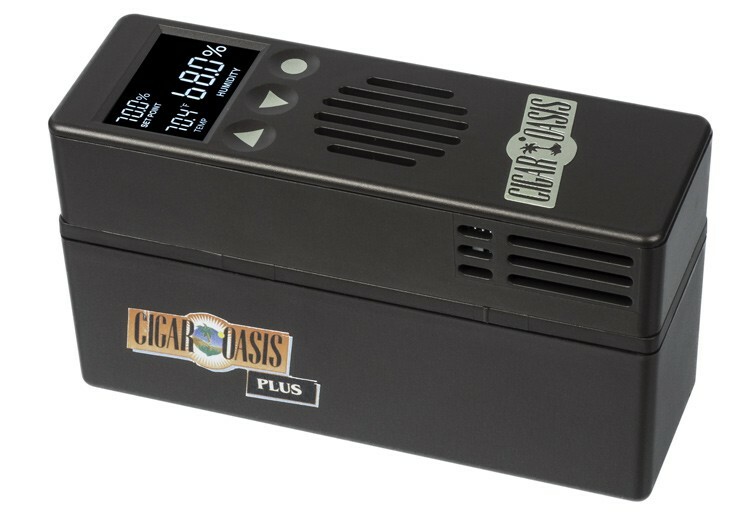 It jumps back to 70% quickly with the Oasis. 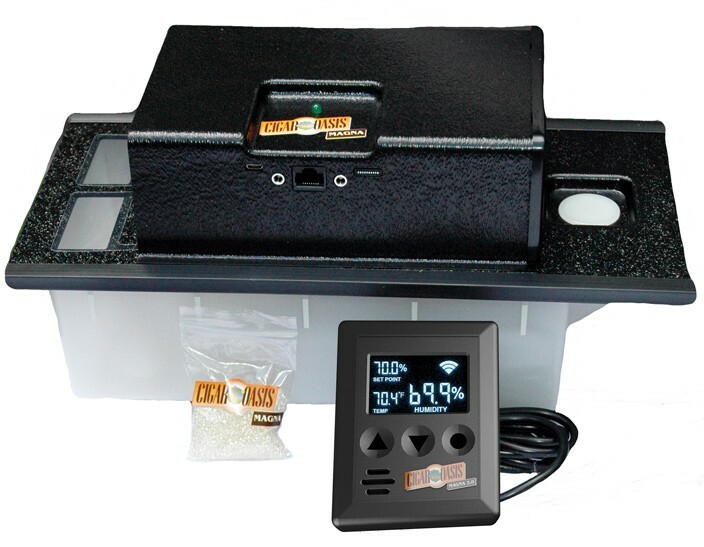 250 Ct. Countertop Display with 3 Large Removable & Reversible Trays & 4 Glass Sides.